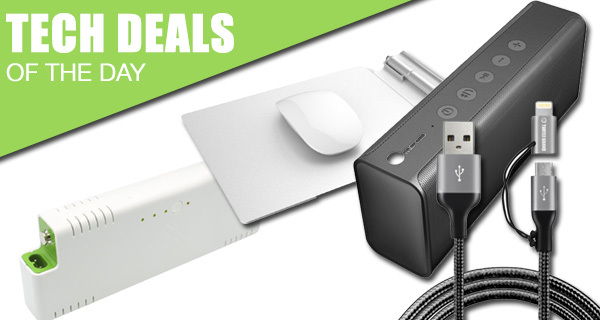 Today’s tech deals are very accessory focused, meaning that if you have a smartphone or tablet, or are just looking for a very stylish product that will sit nicely alongside your MacBook or iMac, then we have you covered. Of course, as is our way, all products listed also come with limited time price slashes, meaning that you can not only own these products, but also save money in the process. Let’s start off with an incredibly handy external battery pack for the MacBook Air and MacBook Pro providing up to 4 hours of additional uptime. This accessory will make sure your MacBook almost never runs out of juice. Next up we have an MFi certified Lightning cable which features a micro USB connector as well. Perfect for users who carry both iOS and Android devices. 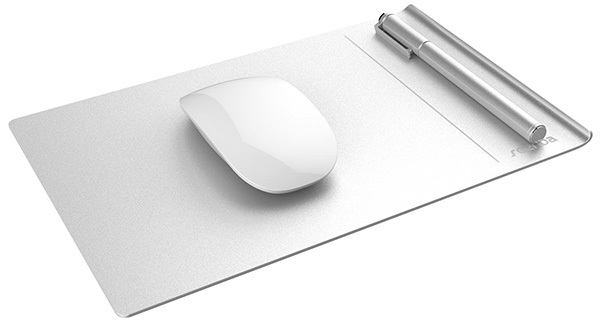 Continuing with the Apple spree, treat yourself to an exquisite mouse pad crafted out of aluminum which will blend in perfectly with any iMac or MacBook for that Magic Mouse of yours. 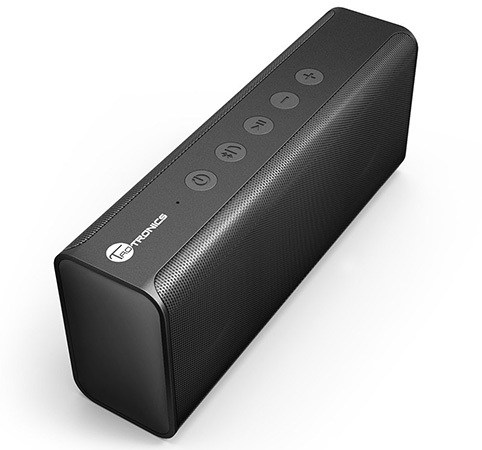 Last but not the least, we have a Bluetooth speaker as well which can also handle calls, and comes in at just $20. As always, make sure you keep that credit card close by if there’s an item you have your heart set on since the deals here are time sensitive and subject to stock levels. So act quickly before the offer expires. We’ve all seen external battery packs being made available in their droves for smartphones and tablets, but why does no-one seem to pay any attention to our MacBooks? 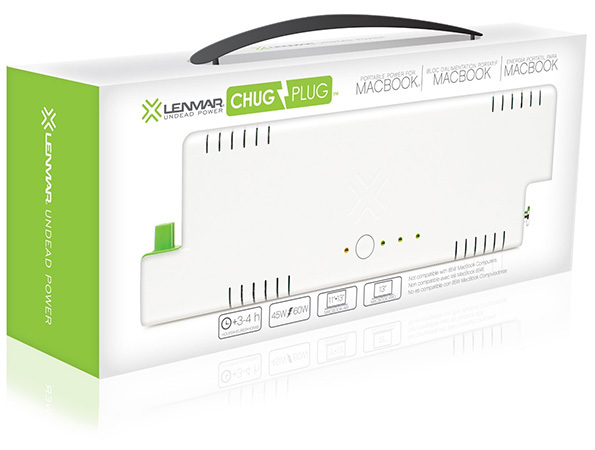 Well, they actually have, and the ChugPlug is one such piece of kit that looks to inject a little additional life into a dying MacBook Air. This little piece of kit can breathe up to an additional 4 hours of life into MacBook Airs up to 13-inches in size. Having an MFi certified cable that replaces Apple’s own Lightning option is most definitely a good thing to have, but what about a certified accessory that goes above and beyond just offering one solution? 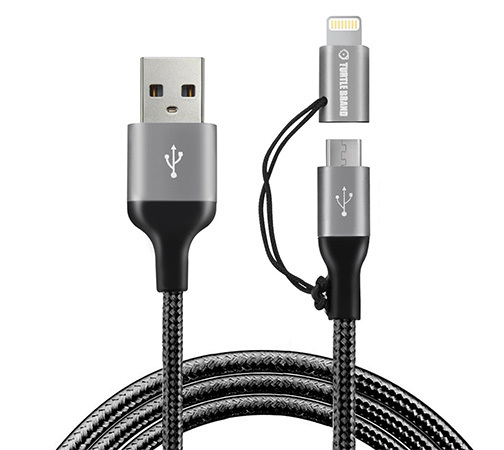 This unique cable not only offers a Lightning cable, but also has a micro USB port built in for those Android devices or digital cameras. This isn’t going to go down as one of the most “must have” accessories that you’ve come across, but it looks fantastic, and definitely offers a lot of benefit to those who are looking to purchase one. This aluminum offering is a stylish, non-slip mousepad that is durable enough to last through hours of usage. It has a beautiful, delicate surface that looks and feels fantastic when using a mouse on it. Great if you have a Mac-based setup around. Make sure you grab the mouse pad using the following promo code at checkout to get it at a reduced price of just $9: VIJPZUS3. This may be a small little Bluetooth speaker, but it certainly packs in a punch that will be heard by anyone in the vicinity. It has a relatively simple and unadventurous physical design, and comes with compatibility with most smartphones and tablets. It also has a hands-free calling option for those incoming or outgoing calls, which means it can double up as a phone call accessory. Make sure you grab the speaker using the following promo code at checkout to get it at a reduced price of just $19.99: SFCJCXET.